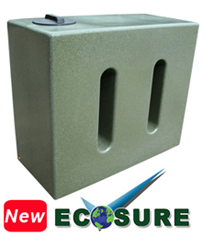 Large 2000 litre water tank is used in many of Ecosures rainwater harvesting system setups. 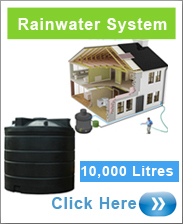 Rainwater harvesting is becoming more and more popular here in the UK as the high prices of water rise. People also are learning to become more self sufficient and save themselves money where they can. Made from industrial strength MDPE (Medium Density Polyethylene) using the latest in UV stabilization technologies. 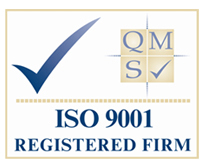 Ecosure aim to meet all standards for potable and non potable water tanks to meet customer satisfaction. 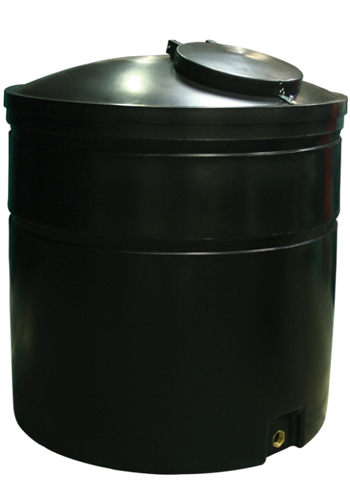 This 2000 litre water tank comes fitted with a 14" or 16" screw down lid and a 1" or 2" BSP fitting located at the bottom of the tank inline with the lid. The 2000 litre water tank is fully vented for both potable and non-potable water. Also is low in height making this water tank ideal for easy filling and easy tank access for pump installation.